Construction and real estate are two areas of business where conflict and disputes can arise no matter how well you perform your responsibilities. It is extremely important to have experienced legal representation in your corner. 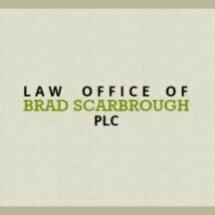 Law Office of Brad Scarbrough, PLC, serves clients in Nashville and the surrounding areas as well as clients throughout Tennessee and the Southeast. Our legal experience and familiarity with the construction and real estate industry give us the ability to tailor a plan for any situation from a transactional or litigation standpoint. Contact our firm online or by calling 615-866-0280. Our familiarity with the construction and real estate industries means that we won't treat your problem as merely a legal issue. We understand the real world impact a dispute can have on the life of an owner, contractor, subcontractor, homeowner or business. For construction professionals who invest a large portion of their available capital on a project, a failure to be timely paid can be devastating. For the homeowner or business that is faced with a construction defect or dispute, real estate issue, or other difficulty, having experienced representation is crucial to making the right decision for effectively and efficiently resolving a dispute. In addition to dispute resolution, we assist many construction industry clients with licensing and general business legal matters. At Law Office of Brad Scarbrough, PLC we frequently serve as local counsel for other construction or real estate attorneys with clients needing legal representation here in Tennessee. Whether at trial or on appeal, the attorneys here at Law Office of Brad Scarbrough, PLC have litigated many cases in State and Federal Courts in Tennessee and other States. We have litigated multimillion dollar lien claims, handled multimillion dollar payment disputes, foreclosure matters, fraud claims, false claims, and other construction and real estate related disputes. We frequently assist clients with business formations, licensing issues and contract negotiations. We always strive to represent clients in the most effective and efficient manner. Our attorneys are members of and involved in the Tennessee Association of Construction Counsel, the Tennessee chapter of Associated Builders and Contractors, Tennessee School Boards Association and the American Bar Association's Forum on the Construction Industry.